For Donald Trump’s detractors, the only thing more frightening than his incompetence may be his talent for projecting the opposite quality. Whatever one thinks of the president-elect’s business record, he sure has convinced a lot of people that it’s terrific. So even if liberals aren’t worried about Trump becoming “the greatest jobs president God ever created,” many are concerned that he could successfully market himself as such. 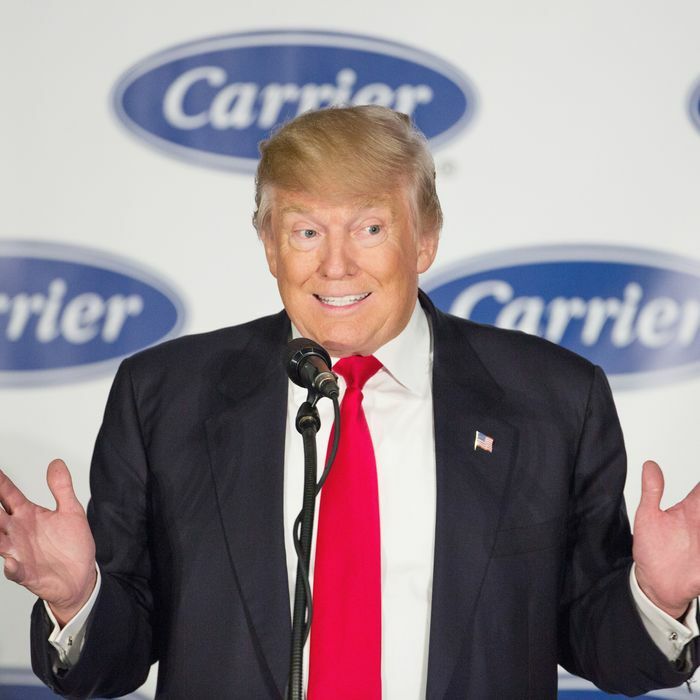 After all, Trump’s first attempt at theatrical job creation — his much-publicized deal to keep one of Carrier’s HVAC factories from being relocated to Mexico — was met with positive reviews. And in the weeks since, the president-elect has repeatedly generated flattering headlines by claiming responsibility for various corporations’ plans to expand their American workforces. 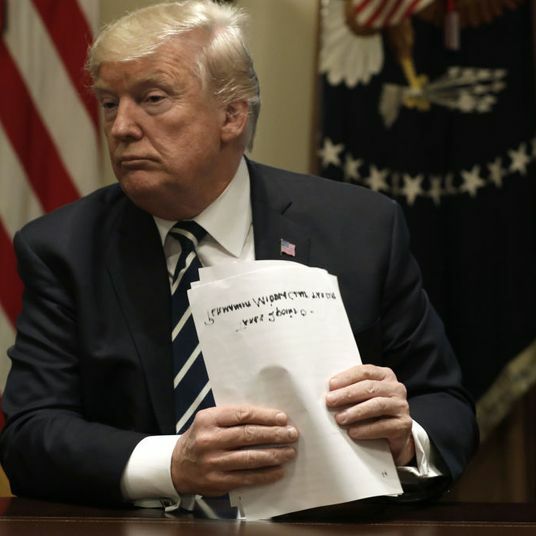 The success of these gambits led political scientist Lee Drutman to warn that Trump could make himself a popular president even if he fails to spur genuine economic improvement. But a new Washington Post-ABC News poll suggests the opposite possibility: Trump could remain an unpopular president, even if he presides over a genuinely strong economy. Like every other opinion poll taken since Trump’s victory, the Post survey finds that Trump is the most unpopular president-elect on record. At this point in 2009, nearly 80 percent of Americans had a positive view of Barack Obama. In 2017, only 40 percent say the same about Trump. Meanwhile, 54 percent have a negative view of the president-elect, and 41 percent claim a “strongly unfavorable” opinion of him. What’s more, only 44 percent consider Trump qualified for the office he’s about to assume. Notably, the public’s dim view of the president-elect extends to his chosen cabinet, with only 4 in 10 saying they approve of most of the personnel choices Trump has made — for both President Bushes and for Bill Clinton, that figure was roughly 6 in 10. These are remarkably poor numbers. But, as mentioned, they mostly reiterate the findings of previous polls. What makes the Post’s survey interesting is the tension it reveals between the public’s disapproval of Trump and its confidence in his capacity to improve the economy. These figures suggest that Trump’s various attempts to brand himself as a job creator have been successful, but also, potentially irrelevant: There are a significant number of voters who think Trump will improve the economy, but still don’t want a hateful reality star to be their president. Trump may be able to use a combination of real and imaginary economic improvement to retain the 46 percent support he won in November. But the Post’s poll suggests that the rest of the electorate holds an antipathy for the president-elect so personal and profound, he may have trouble growing his share of the vote in 2020, even if he presides over reasonably strong job growth. Or, perhaps, the poll merely suggests that all public-opinion data is rigged.